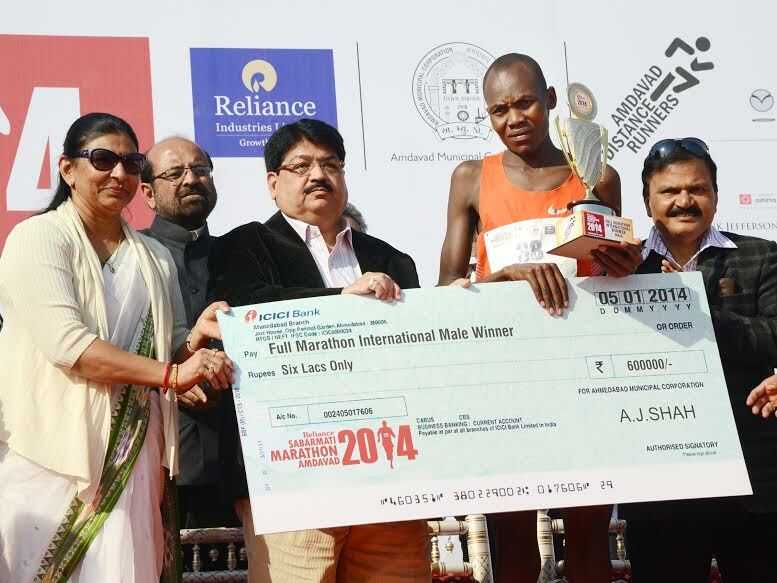 Mr. Shadrack of Kenya bagged the Reliance Sabarmati Marathon, Amdavad 2014 Trophy by completing full marathon run of 42.195 kms in 02:14:13 hrs. 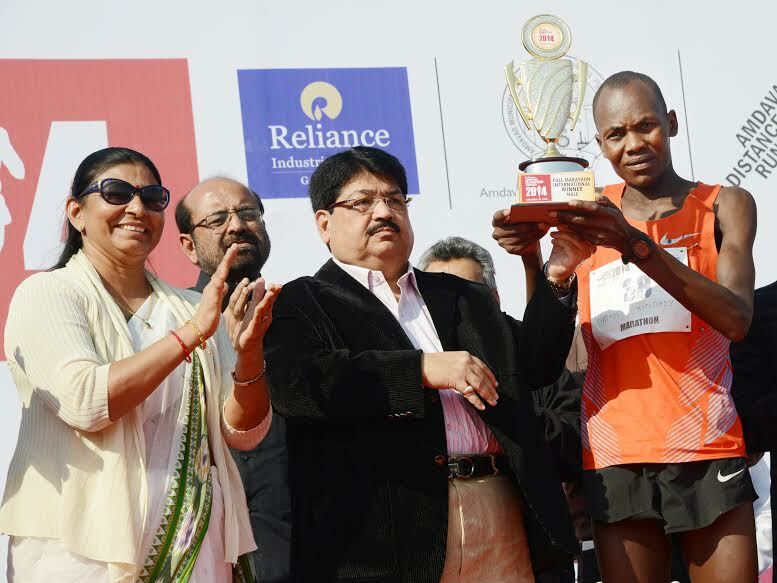 Ahmedabad Mayor Mrs. Minakshiben Patel and RIL’s Group President (Corporate Affairs) and Rajya Sabha MP Mr. Parimal Nathwani presented him the winner’s trophy and the prize amount’s cheque of Rs. Six Lakh.